The Handa Foundation began a new partnership in 2015 with Stanford University in California. The primary focus of the program is to teach surgeons, nurses, and anesthesiologists to work as a team and to use a safe surgery checklist that was developed by the World Health Organization. The use of the checklist has proven to reduce complications related to surgery by as much as 30%, and the goal of the program is to expand this training to all of the public and private hospitals in Cambodia. 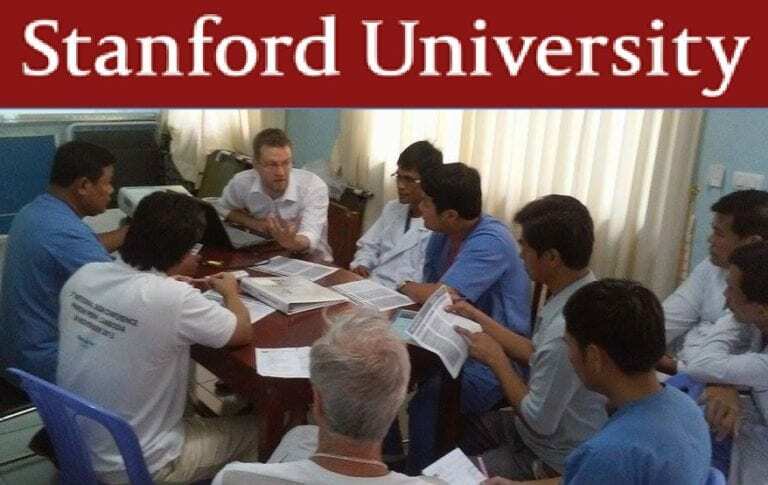 Through the generous support of professor Dr. Thomas Weiser, Stanford University Medical School has invited surgeons and nurses from the World Mate Emergency Hospital to receive training in California, and Dr. Weiser also spent the month of July in Battambang to kick off the new program. The Handa Foundation is a non-religious, non-political, not-for-profit organization with the mission of building hospitals and schools in various countries of Southeast Asia.